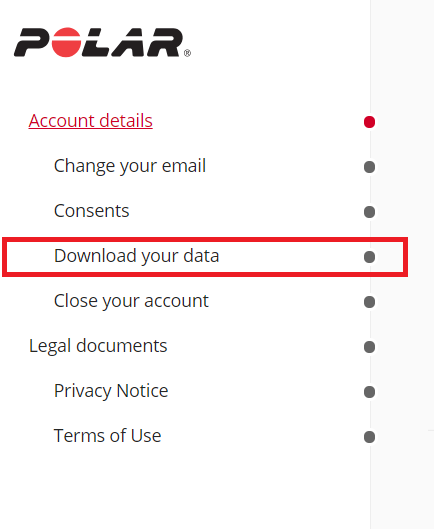 In case you want to download your personal data that has accumulated in the Polar Flow ecosystem, you can do it by following these steps. 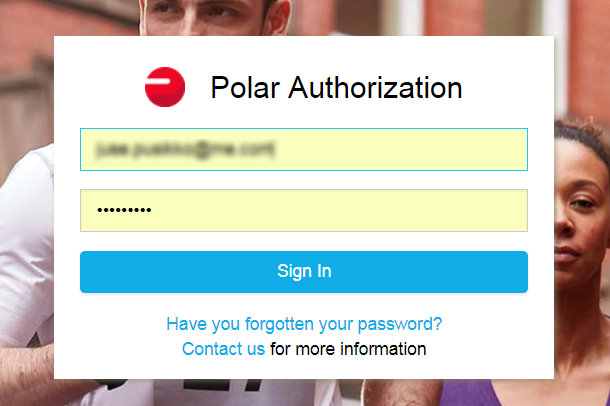 Go to https://account.polar.com and click Sign in. 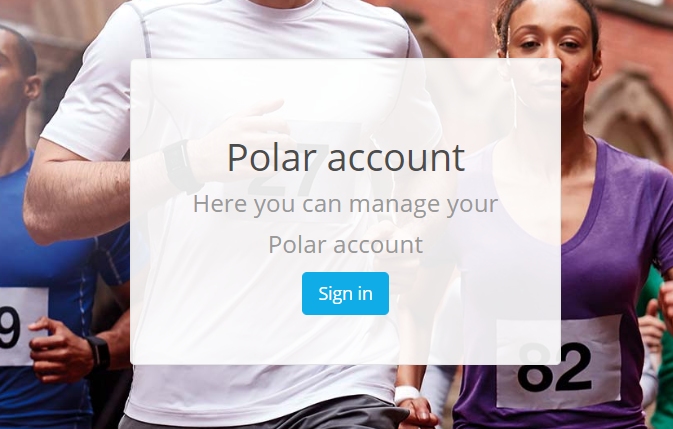 Authorize the access with your Polar account email address and password. Click Download your data on the menu on the left or scroll down the page. Click Download button on the right to initiate the download request and start the data collection process. You will get an email when your data is ready to be downloaded. It will take some time to collect the data, depending on the amount of it and other data collection traffic. You will have two weeks to download the data, once you get the email. The export contains all of the Polar Flow data that was originally provided by you (for example, data given by you during the account registration process), and most of the data coming from the Polar devices or Polar apps you use. This export does not include any data that is derived from the data provided by you using Polar algorithms so, for instance, activity and sleep information are not included in the exported file.